For years nobody has set the bar higher when it comes to delivering the ultimate trading card experience than Upper Deck. 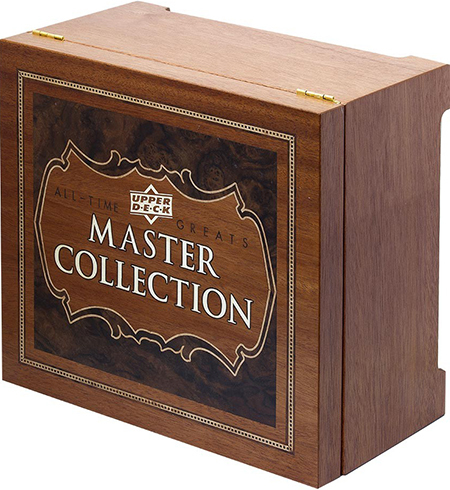 When word got out about the company releasing the All-Time Greats Master Collection there was a lot of excitement and even some speculation. 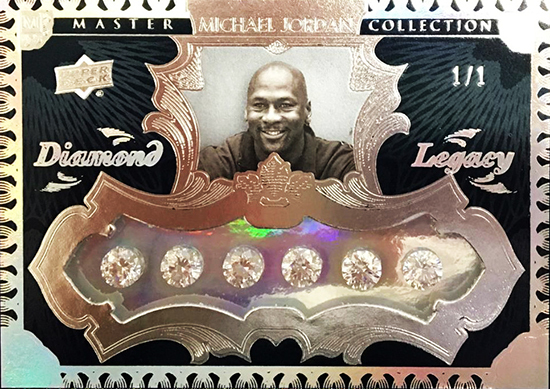 What could come in a $15,000 box of trading cards? As boxes were opened, those questions were answered. Take a look as Upper Deck’s director of product development Grant Sandground takes a look at a set. The sealed set weighs in at 24.3 pounds. This will be the only core set with autographs of LeBron James and Michael Jordan this season besides Goodwin Champions. This will be the only core set with autographs of Arnold Palmer and Jack Nicklaus for the year. 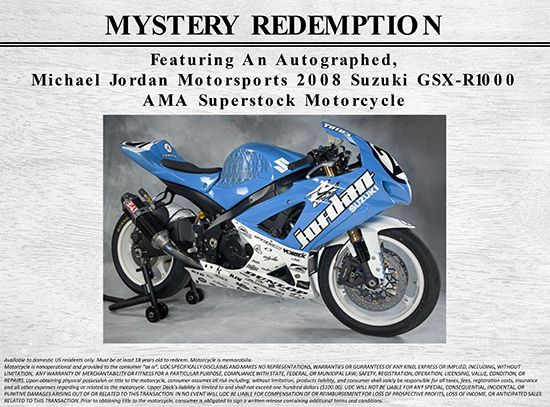 The redemption cards in this set are incredible to say the least, but this is certainly the first time a motorcycle has been offered in a set of trading cards. Outside of the incredible memorabilia items, there are zero redemption cards for autograph cards. All autograph content is live in packs and is hard-signed. 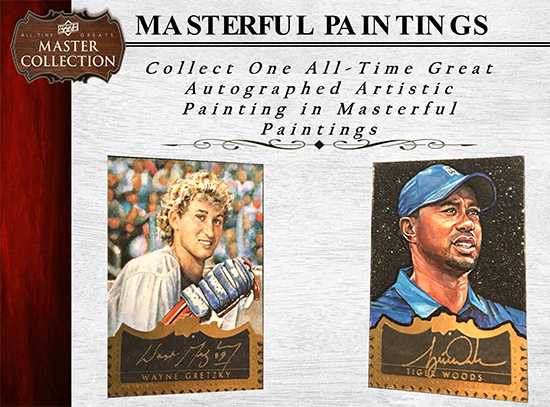 There are over 200 original hand-painted trading cards in the set which are all signed not only by the athlete, but also by the artist. Upper Deck began working on this project in February of 2014. It took close to two years to bring to life! Upper Deck used approximately 100 pens in creating this product for just 25 athletes signing. Two athletes used different inks on some of their cards. Nolan Ryan signed the silver autograph parallels in blue ink for card 15/20. Emmitt Smith signed the 20 Clear Spectrum autographs parallels in gold ink. This is not the first time athletes have signed packaging for Upper Deck. 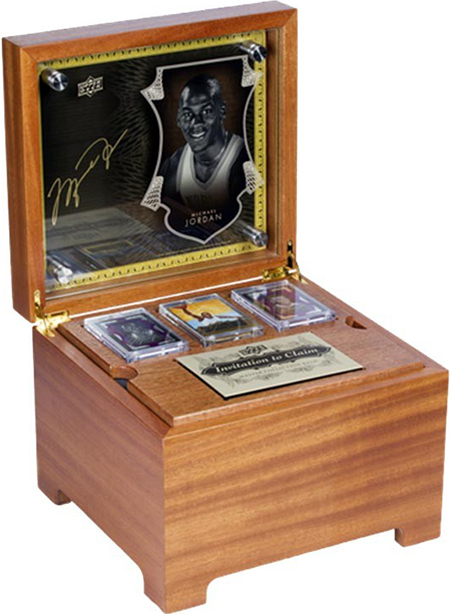 Athletes have signed packaging for Exquisite Collection in the past, but this is the first time an athlete like Michael Jordan or Tiger Woods have signed the inside of a collector’s box like this. For those who can’t afford the high price of admission for an entire set, there are a variety of dealers who are breaking down the sets and selling cards individually on auction sites like eBay. *Diamonds used in cards are lab created.